I mean why would you live anywhere but Peckham? Yes, I know there are reasons, very good ones, for living elsewhere. 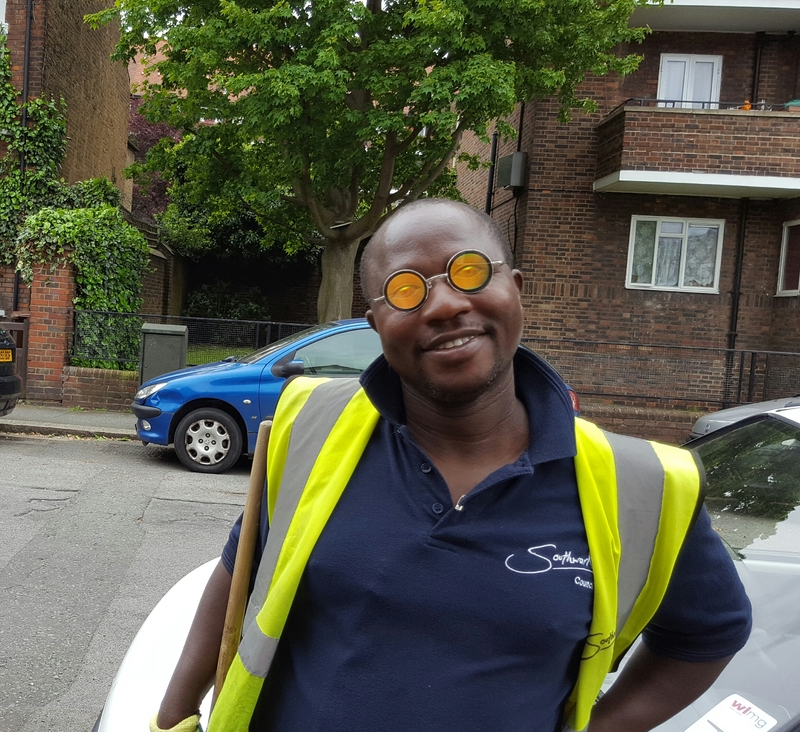 But does your street cleaner – I bet they have fancy titles like hygiene directors or refuse managers – look as good as this guy in his pair of comic-book glasses, which he swears he can see out of? I thought not. This entry was posted in Peckham, Photography, street photo and tagged fun glasses, on, Southwark, street cleaning. Bookmark the permalink.